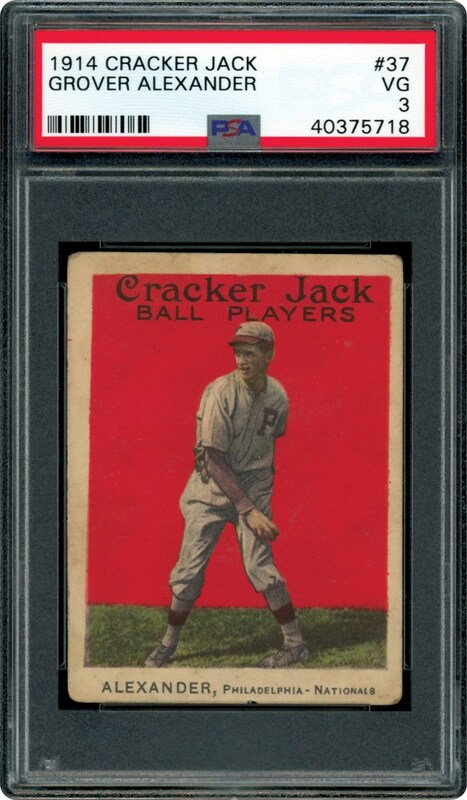 Always in demand in any grade, this 1914 Cracker Jack card of Grover Alexander is stunning in the Pop 5, PSA 3 holder. 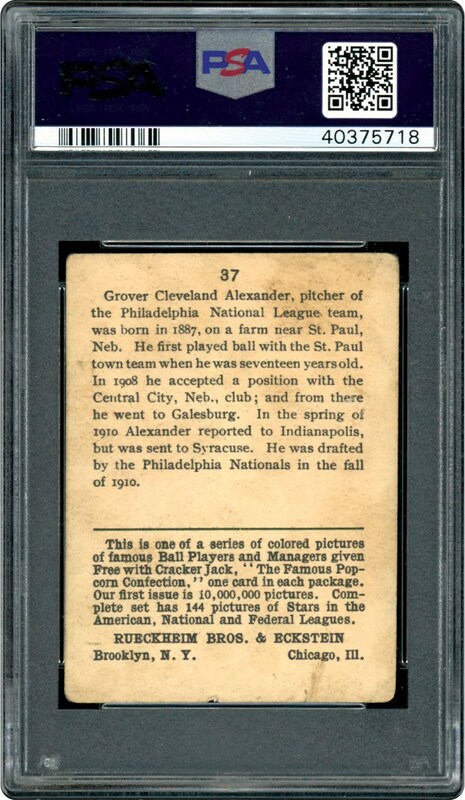 Extremely RARE card of this Hall of Famer. Add it to your high grade collection.